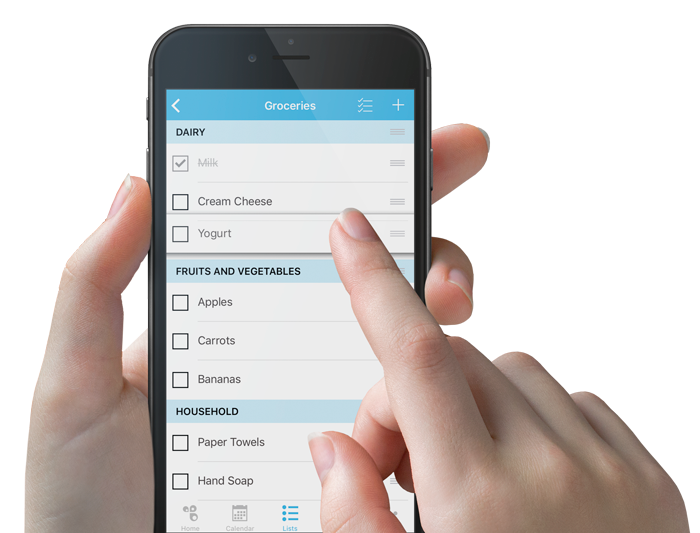 The leading productivity tool for families with more than 20 million users, Cozi is a free app that manages the logistics of everyday life. 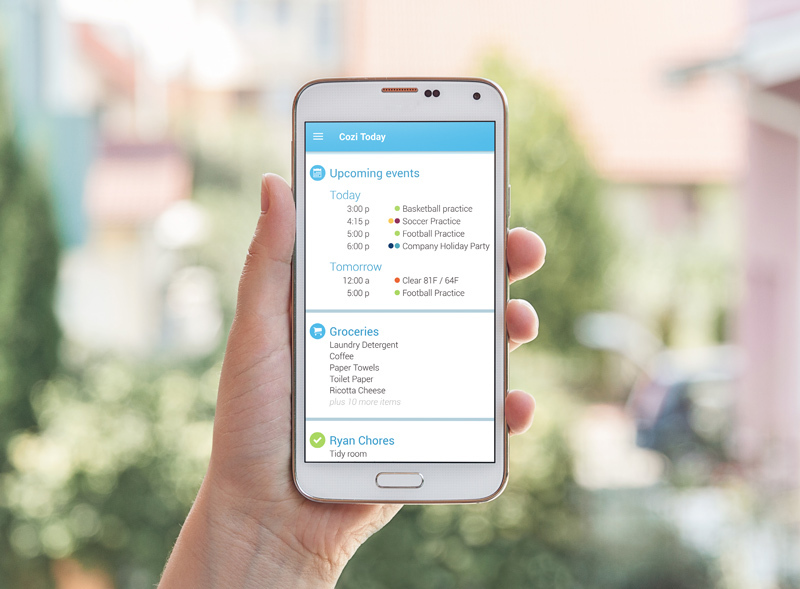 It keeps track of everything from school schedules and sports activities, to grocery lists, meals and chores—all in one place the whole family can access anytime, anywhere. 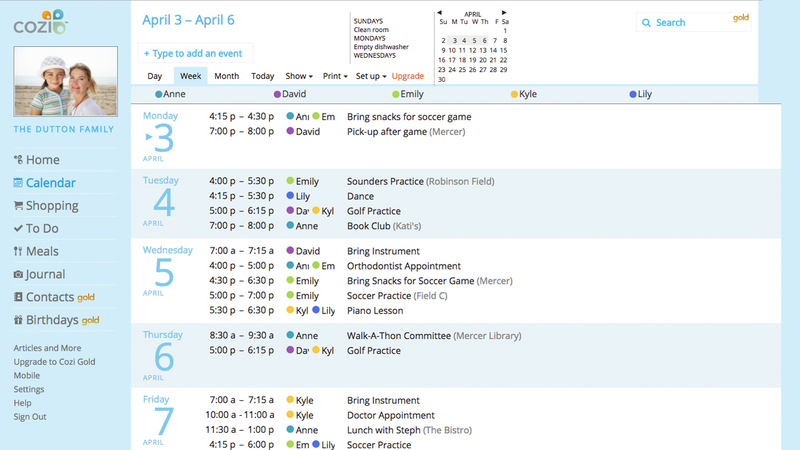 Family Calendar: A color-coded calendar that lets you view an individual’s schedule or the whole family at once. Add or edit appointments that everyone in the family can see, set reminders so no one misses an important event, and get an agenda for the upcoming week emailed to any family member. 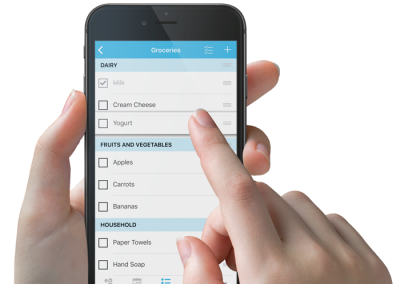 Shopping Lists: A grocery list the whole family can access in real time. Retrieve lists when you’re at the store and see items added by other family members when you’re on the go — no more coming home with everything but the one thing you really needed. 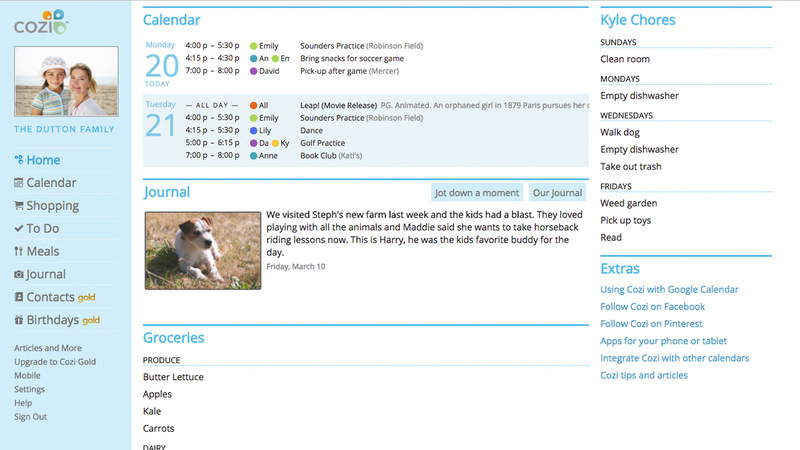 To Do Lists: Create a shared to do list, a honey-do list, or a chore list for the kids. 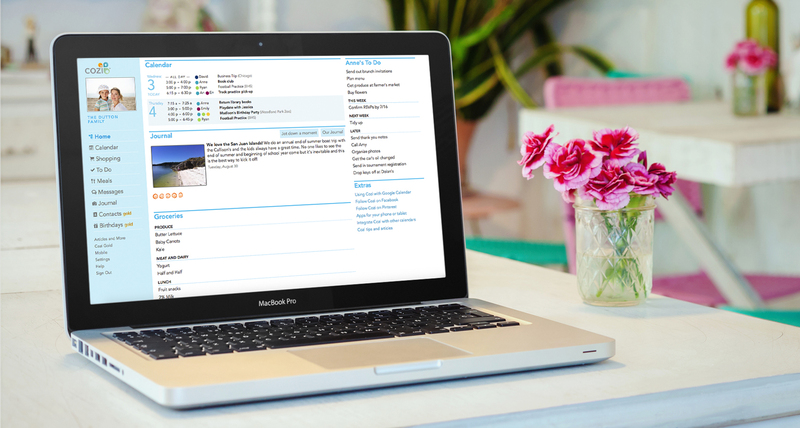 Create as many lists as you want: emergency supplies list, packing checklists, camp supplies, and more. Recipe Box and Meals: With Cozi’s Recipe Box, it’s easy to store all your recipes in one place. Add recipes from your favorite sites, drag and drop to schedule dinner ideas for the week, and add ingredients to your grocery list with one click. 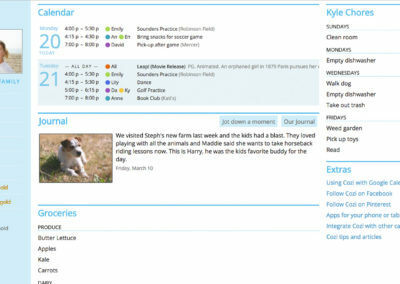 Family Journal: Jot down a special moment and add a photo. Cozi’s journal is designed especially for busy parents, so it’s fast and easy to keep favorite memories you don’t want to forget. 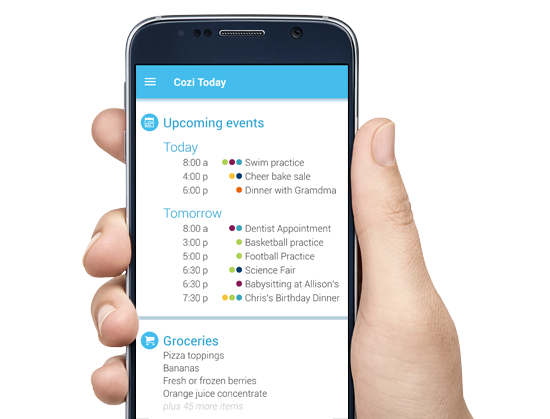 Cozi is the leading shared family calendar and lists app. It makes sure you don’t schedule family vacation over the championship game and keeps you from buying milk twice. 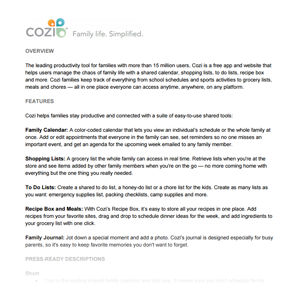 Cozi is the surprisingly easy way to organize the family. It makes sure you don’t schedule vacation over the championship game and ensures your cupboards are stocked with everyone’s favorites. 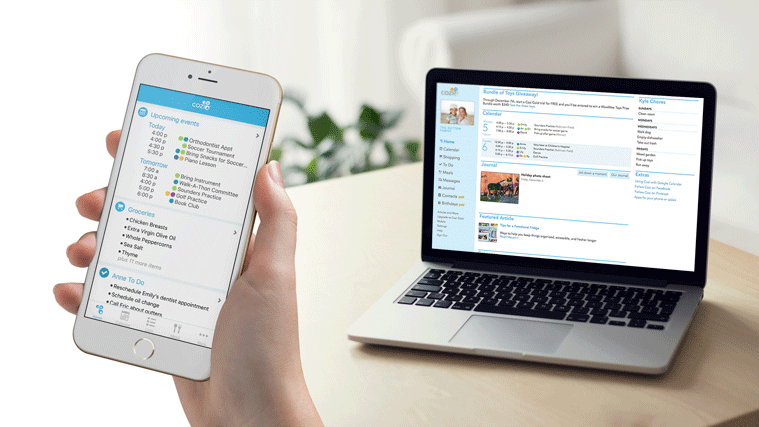 Ready to feel organized and on top of family life? Get Cozi. 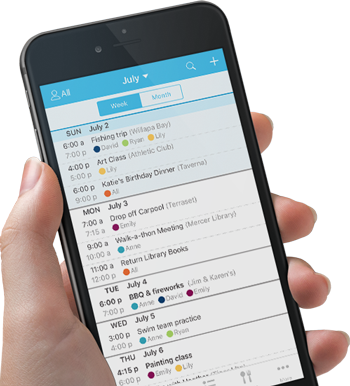 Simplify hectic back-to-school schedules, to do lists, and more with the must-have organizing app for families. 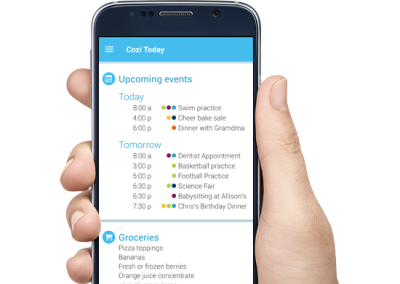 Cozi remembers everyone’s appointments, coordinates the busy family schedule, and keeps track of shopping and to do lists so you don’t have to. 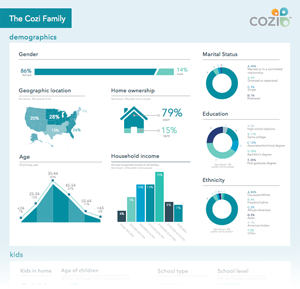 More than 8 million households depend on Cozi to keep their family life organized. The majority of our users are moms with one or more kids at home. Nearly all Cozi moms use smartphones, and 90% are the primary purchaser for their homes. 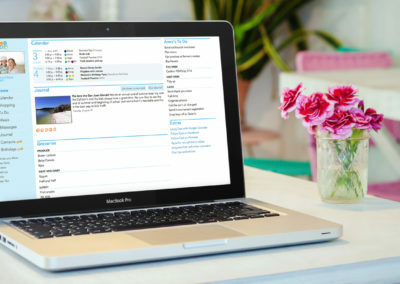 Interested in talking to a Cozi user for your story? 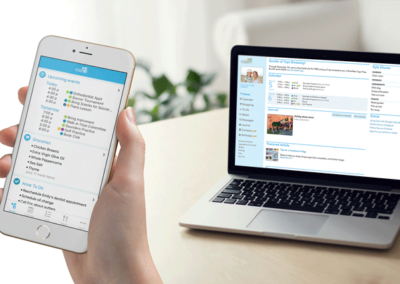 We can put you in contact with real Cozi families who’d be happy to talk to you about their experience using our app. Contact [email protected] for details. 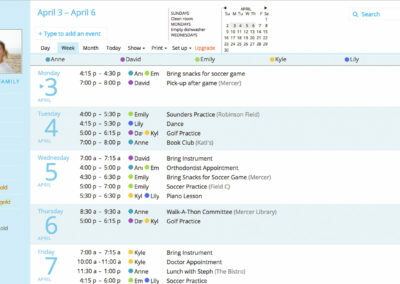 The ability for our entire family to have the calendar and any changes at their fingertips instantly has been priceless. 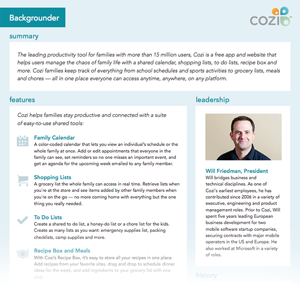 Since using Cozi, we have been able to organize and prioritize ourselves in ways I could only imagine. The only regret I have with Cozi is that I didn’t start using it sooner. I feel SO much more organized, peaceful and ‘in control’ when we keep Cozi updated. Need additional materials or information not included in this press kit? Please feel free to contact us.